With the 2018 election season behind them, Vermont lawmakers are enjoying an end-of-year respite while preparing for the new legislative session in January. 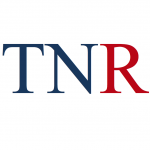 To get a sense of how the election results might impact the 2019 legislative agenda, True North interviewed three senior state legislators about their views: Sens. Christopher Bray, D-Addison; Brian Collamore, R-Rutland; and Rep. Harvey Smith, R-New Haven. According to the lawmakers, the economy, affordability and the environment loom large on both sides of the aisle. In rural Addison County, where Democrats did very well in 2018, Bray, the chair of the Senate Natural Resources and Energy, said he won by running on his past legislative record. His re-election, he noted, provided evidence that he’s on the right path. Bray said in the upcoming session he will continue to focus on the state and local economy, energy use as it’s related to climate change, as well as clean water concerns. 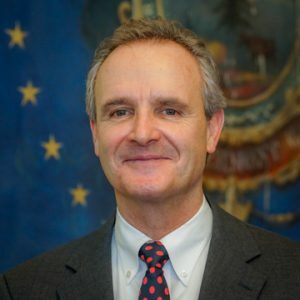 Bray believes that making Vermont more affordable and livable means starting at the local level with the help of the taxpayers. 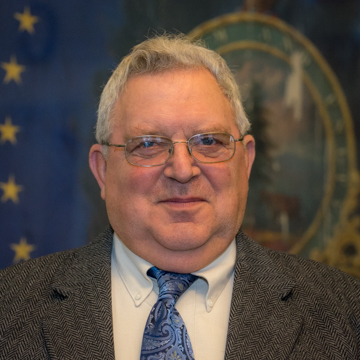 The Addison County senator is a notable supporter of Vermont’s Farm-to-Plate program which, he said, has expanded the agricultural economy statewide as well as in his own backyard. 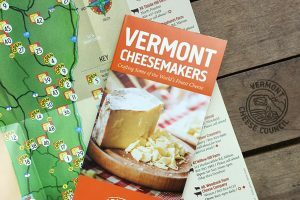 Farm to Plate is implemented statewide as a means “to increase economic development and jobs in the farm and food sector and improve access to healthy local food for all Vermonters.” Funding for the effort comes from taxpayers, private sector businesses and nonprofits. Bray also has been a proponent of solar energy projects. His hometown of New Haven boasts the most solar-related projects in the county, despite some local opposition. He also sees big government-funded projects such as cleaning up Lake Champlain as a major boost to the state’s economy. Republican Gov. Phil Scott made it known during the 2018 election season that he will veto spending measures that increase taxes and fees. However, election results indicate that Democrats and Progressives have enough votes to overturn a governor’s veto. Bray said he expects paid family leave and minimum wage bills to advance in 2019, despite being vetoed in the last legislative session. On the idea of passing a new carbon tax, Bray said Vermonters already have a form of it. He nevertheless thinks new carbon taxes could pass in Vermont. 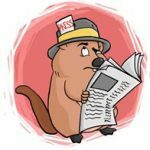 “When the price of gas rises 70 cents in a year, there is a little grumbling, but remarkably acceptance (of) ‘that’s just the way business is.’ We should be able to agree to raise the price of gasoline, for example, by a nickel and then to use the revenues — entirely disbursed back to Vermonters — to help them make the switch to clean fuels and vehicles. Acording to Sen. Brian Collamore, reading the 2018 election tea leaves shows that even the normally conservative bastion of Rutland County has shifted in a more liberal direction. Collamore said he can’t tell if new liberal voters are moving into the area or whether Republicans simply failed to get out the vote. He added that he thinks all of Vermont, not just Rutland County, may be shifting in a more liberal direction. 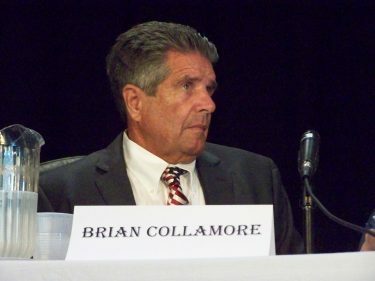 Collamore says he was shocked by the defeat of interim Republican Sen. David Soucy in the August primary. Collamore said that, without a doubt, the No. 1 concern of his Rutland County constituents is affordability, and that’s where he plans to focus his efforts. “People are having a tough time getting their paycheck to cover all the weekly and monthly expenses, let alone saving anything for the future. The governor has begun a great process to make Vermont more affordable. So, yes, the election was all about the economy here in Rutland County,” he said. Like Bray, Collamore expects the left-wing supermajority to push for paid family leave, the $15 minimum wage and the carbon tax. “It will be the minority party’s job to make sure we hear both sides of the issue — we need to point out our side,” he said. “I think the governor will never sign a carbon tax bill, but if vetoes are overturned it will be a challenging session. We don’t have a good balance in Montpelier. We’ll need the Blue Dogs,” Collamore said of the Republicans. Rep. Harvey Smith, of Addison County, concurs with Collamore’s assessment that the upcoming session will cater to the Democratic/Progressive wish list of legislation. Smith, a livestock farmer in New Haven, is concerned about more land-related regulations and restrictions, including steps by Montpelier to render more agricultural lands into protected wetlands. On the subject of Act 46 school mergers, Smith said that any efforts of mergers in his Addison-5 District won’t bring any property tax relief, as far as he can tell. Plus, he believes that local residents, not the state, should decide on mergers. In the final analysis, while Bray, Collamore and Smith appear to agree about the importance of issues like affordability and the environment, the rub is finding common ground on solutions — and ways of paying for centralized state-government desires. If anyone thinks focusing on affordability for Vermonters will solve the livable wage problem they must recognize what is causing it in the first place, Programs! Programs never solve problems because they produce nothing other than a drain on the standard of living of those who do produce. Any program created by either party is only a multiplier of negative impact because more programs will undoubtedly be created to address the damage each additional one creates! Wells stated. The other half of the equation is that programs foster and encourage dependency. Democrats and other power-lovers and program-lovers pretend they are doing great things, but they are actually harming people by keeping them down, keeping them on the dole, and robbing them of realizing their full potential of self-determination. Bottom line is democrats rob the working class and use the money to create dependent voters who will keep them in power. They are creating the first “perpetual motion machine” And they are succeeding at it. For someone my age who has watched and paid attention to things that activists and sometimes even governments themselves involve themselves in, it is amusing as well as expensive and many times the drumbeat is just flat out wrong. Back in the early 70’s I was employed in the petroleum business, dealing mainly with credit issues customers were exposed to. The big drumbeat getting louder at that time was that in 10-20 years we were to run out of oil, a scary thought indeed back then. These same clowns predicting that are now hollering for a carbon tax; for what? A misguided, pure unadulterated load of non-sense that if put in place will extract money from us’ns to the tune of who knows what. This cannot be allowed to happen. There is plenty of reliable research to prove that the basis for a carbon tax is just flatout wrong. I saw an extensive interview a while back with Patrick Michaels, who has facts and info to refute just about all the arguments for this proposed boondoggle.I would recommend researching Patrick via the search venues at our internet fingertips. We will need Patrick’s extensive data in the next few weeks i believe. Vermont has had the highest minimum wage or one of the highest in the country and the world. So why are people broke? Because VT takes the raise from them every time they give it. The state is currently “not raising taxes” through local option taxes in every economic hub in the state. Conveniently they get to take a hefty percentage. But they didn’t raise state taxes! Yet we’ll be sending in $300k to the state if we pass our lot tax. We don’t even have a plan to spend this “free” money yet. How about we fund the teachers retirement? We’re broke for God’s sake. Hurts the common man, yeah it’s only $30 they say, then a soda tax, then raise fees for registration, inspecting car, make thing more difficult for inspections, promote lottery which is just a tax on the poor, yup…. We could have affordable homes, that would be relief, you won’t be able to buy anything with you’re new minimum wage, just like you haven’t for the past 20 years…..they’ll take it out of your back pocket when you aren’t looking. You’re making sense, isn’t it amazing how people don’t connect the dots? It’s all part of a well oiled con job. I always wondered watching the westerns, how did people fall for the snake oil salesman? Times may have changed but people are still people. Folks are connecting the dots… and like me they realize that there in no stopping this machine in VT. You may have small wind here and there (election of Scott) but you’re not going to win the war. You either sink with the ship or get the heck out of dodge. My wife and three children all born in VT never to return to live. Heck I lived there for nearly 25 years. Sorry to say it but it’s a fact. Vermont needs to fall hard to get back on a better foundation. I just wasn’t willing to take my family along for the ride. Neil, you are right on. Also, VT’s job growth is negative…minus 0.9% while job growth nationally is significant. Part of this is that the labor supply is shrinking, but the other is that uber-regulation (Act 250, high electric rates) and high taxes (electric subsidies and social programs) are draining the lifeblood from the economy. Where we are today is the result of 30 years of the liberal bent of the voters. Unfortunately, I don’t see this changing. The same people who voted for this legislature also wring their hands over the fact that their children cannot make a living here, but fail to connect the dots. Lou, this is a well done article, BTW. Vermont democrats’ idea of affordability means fleecing the working people of the state and redistributing to their favorite constituencies. Other than that, they would not know affordability if it fell out of the sky and landed on them. It’s amusing that Chris Bray thinks that “government funded” Lake Champlain cleanup will be a major boost to the state’s economy. What a Godsend! Puerto Rico’s economy should be roaring after Hurricane Maria! And It’s amazing that he thinks Vermonters are paying a carbon tax now through RGGI. Vermont has almost zero fossil fuel electricity generation – one occasional GMP backup gas plant in Colchester – so we pay almost nothing, and pocket $3 million a year from other states dependent on coal and gas. environment…….. Give me a break !! is in place………. it’s only rhetoric !!! P is for Progs, BIG govt, tax and spend, more govt regulations, free everything. Truly weak Brian. The reasons we are in this situation. Act 46 school mergers, forced – not selected by parents or citizens or tax-payers. No One I have asked has been able to identify a single job, or person, who is/was eliminated to save money by forced schools merger. I asked at a town school meeting who/what job could be eliminated to save money in merger – their faces turned ashen, and they could literally not utter a single word. Just that the new Super-Superintendent needs all the other staffs to support his dynasty. Bigger Bureaucracy !! Further, Control is taken far further from parents and tax-payers!! and from teachers?. Until someone reals in the VTNEA any talk of affordability in VT is nothing more then window dressing. 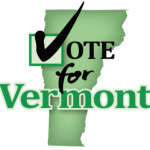 Like it or not the VTNEA runs Vermont, and they have no interest in making it affordable. Think about it, they have done nothing but reduce the work load of their members. Student population has dropped 20% is 15 or so years. While the budget has exploded. More money reduced work load. Win win for everyone but the the taxpayers. The VTNEA rules the roost in VT.
You’re absolutely right, the big public education monopoly owns Vermonts left. I guess the dems like the promised votes and campaign cash.